The Lok Janshakti Party today said it would not field any candidate for Gujarat polls and announced its support to ally BJP in the election. 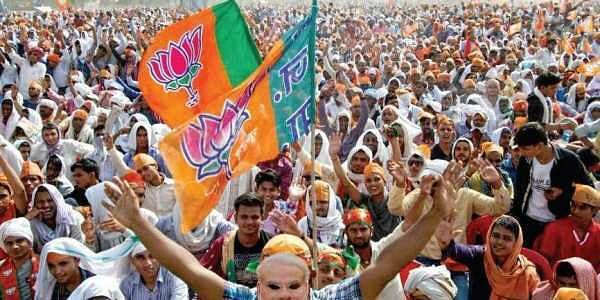 NEW DELHI: The Lok Janshakti Party today said it would not field any candidate for Gujarat polls and announced its support to ally BJP in the election, following a hectic campaign by its chief and Union minister Ram Vilas Paswan in favour of the saffron party. The LJP has traditionally contested in some seats in the state. In the run up to the polls, which will be held in two phases next month, the BJP has deployed Ram Vilas Paswan in its campaign in an attempt to woo Dalit voters. LJP's parliamentary board chief Chirag Paswan, in a statement, said, "Our party will fully support the BJP and not put up any candidate."